This past weekend I had the good fortune of attending the 26th Annual Keyesville Classic. There are some great singletrack trails throughout the Keyesville and Kern Valley areas. 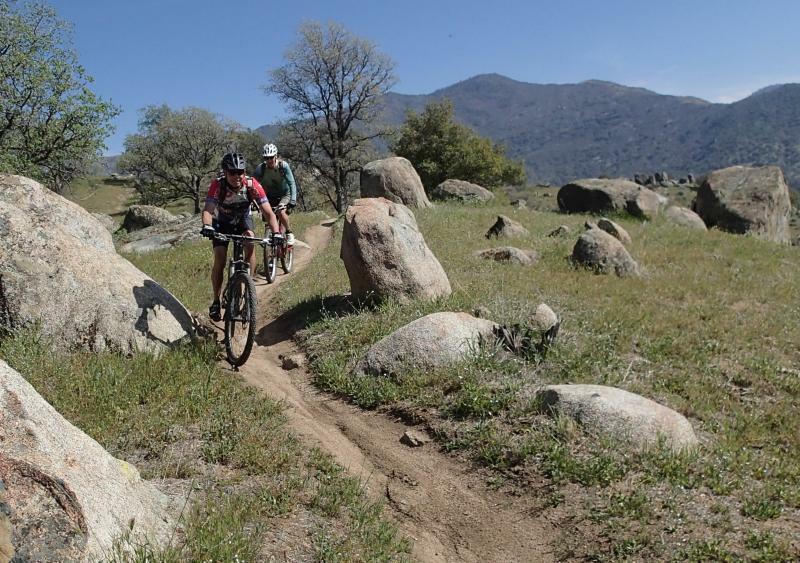 These singletracks are open to horses, bikes, hikers and motorcycles, but closed to quads and other wider OHV’s. Our group had two encounters with motorcycles while riding outside the event course. At the same time, I realized how easy it is to turn an invasion of space into a shared experience. Just be respectful, use proper trail etiquette by yielding or stopping, and strike up a conversation. Even a simple “enjoy your hike,” “hello,” or “thank you” can turn an encounter with another trail user into a more positive shared experience. Celebrate your mutual love of the trail and respect for others enjoying the same. You’ll come away from the encounter just a little bit happier in the knowledge that others care about the trail–and other trail users on it–as much as you do. This entry was posted on Wednesday, April 2nd, 2014 at 9:01 am and is filed under Rides and Events. You can follow any responses to this entry through the RSS 2.0 feed. You can leave a response, or trackback from your own site. Since I started leading my beginner groups up the Arroyo Seco last year, I’ve discovered it is also a very popular hiking and equestrian trail, and I always make a point of saying “hi” or “thanks, I would have stopped for you, but you beat me to it”. It’s very easy to get in the mode of thinking its us vs them, but a simple greeting, or a stop for a quick conversation, reminds everyone that we are all the same, just people out for some enjoyment of the outdoors. And many people love the CORBA smile hanging from my handlebars.